“The same goes for you wives: Be good wives to your husbands, responsive to their needs. There are husbands who, indifferent as they are to any words about God, will be captivated by your life of holy beauty.” 1 Peter 3:1-2 The Message. 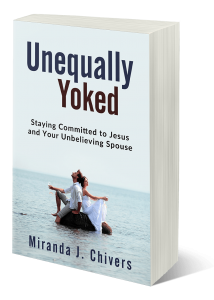 This blog is not about the word “submit.” If you want my take on that word, please read my book “Unequally Yoked—Staying Committed to Jesus and Your Unbelieving Spouse.” I dissect it there. Today I’m discussing the action of kindness towards our unbelieving spouse. It’s a good idea to examine a verse in different versions and translations to get a broader view of what the writer is trying to say. Here, I quote two translations: the NIV and The Message. Although the wording in each translation is slightly different, the intent of the passage is the same. The Apostle Peter suggests that the best evidence of a life transformed is a pure and gentle heart. This transformation attracts others to our faith. We can assume the reverse is also true. 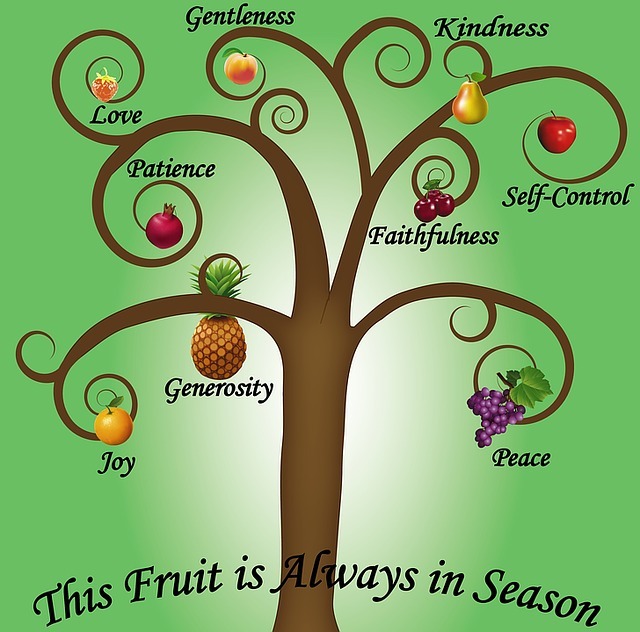 A quick temper, crude speech, and rude attitude are examples of behaviors that are deficient in kindness and love. These latter qualities are poor representations of the love of Christ. When you live with someone long enough, informality sets in and your true personality comes to the forefront. Before, when we were dating, we were all smiles and full of niceties. But now, that niceness disappears in a flash when the stress of daily living intrudes. And usually, our spouse gets the worst of our speech and attitude. I’m sure we can all use a refresher lesson in kindness and humility. Especially when we’ve messed up. It’s interesting that the Apostle Peter is emphatic about character and behavior. In this chapter he focuses intently on how we treat our unbelieving spouse. And who should understand this better than Peter? He was well known for his crass, fickle and impulsive nature. He often spoke first and asked questions later. If anyone needed a character transformation—it was Peter. I’ve often wondered if his defiant personality and abrupt, crude speech created chaos in his marriage. After all, Jesus called Peter out for his behavior on more than one occasion. This is the same Apostle that was key in starting the Christian church and emboldening new believers. How did that happen? If anyone knew what the love of God could do a heart, Peter was a good example. I suspect he was frequently challenged on his speech and attitudes in his home. And when the Holy Spirit began to work in his life, there was a dramatic change. And people flocked to his house. If you get a chance to tour Israel, you will visit Capernaum and see the house where Peter lived. Jesus spent a lot of time there. During the early years of the Christian church, Peter’s house was enlarged several times to accommodate the abundance of visitors. This fact alone speaks of the impact the Holy Spirit can have on one’s life. I imagine the rumors flew plentifully in this small town. And his wife would be the first one to give authority to the rumors. After all, she was in the position to know first-hand whether the rumors were true or false. When we read Peter’s letters today, we are reminded of the Holy Spirit’s influence in changing hearts, attitudes, and behavior. And we have clear direction on how and where to implement those changes. We might not always be aware of our flaws. Sometimes it takes another person to point them out—the way Jesus did to Peter. But if the Holy Spirit could change a crude impudent fisherman into a powerful speaker, author, and leader, then surely he can turn our weaknesses into our greatest strengths. But we have to be willing to allow him to make those changes. If we want our homes to be transformed by the love of Christ, then we need to demonstrate that daily. Everywhere. With everyone. Kindness to others and purity in speech…in our homes AND in our interactions with others. That’s how our loved ones can see the Jesus in us. If you want to know more about how to live happily with your unequally yoked spouse, purchase my award-winning book on Amazon or at your local bookstore. It’s available on Kindle and in print. Stay tuned for the audio version. For more info, follow me on Amazon. Download the free companion study guide on my website. Follow updates to the book “Unequally Yoked—Staying Committed to Jesus and Your Unbelieving Spouse.” on Facebook. Subscribe to my blog to receive an email update whenever a new post is published. Data Privacy I consent to receive updates and marketing from Miranda J. Chivers and Sanctified Hearts Publishing. You have subscribed successfully! Please check your email to confirm your subscription. © 2018, Miranda J. Chivers. All Rights Reserved.